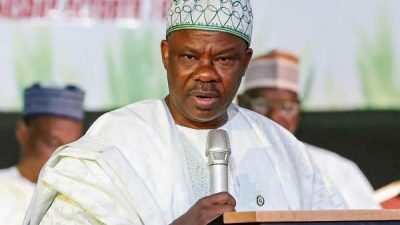 Five governorship aspirants on the platform of the All Progressive Congress (APC) in Ogun State have formed alliance against the anointed of Governor Ibikunle Amosun ahead of the party’s primaries. They are the Special Adviser to Kaduna State Governor; Jimi Lawal, former Commissioner for Commerce and Industry; Bimbo Ashiru, an oil magnate; Dapo Abiodun, former Senator who represented Ogun East; Gbenga Kaka and former Commissioner in the state Civil Service Commission; Abayomi Hunye. All the five aspirants have obtained the APC governorship nomination forms, Daily Trust gathered. The State chapter of APC had on September 6, announced a member representing Egbado South and Ipokia Federal constituency at the House of Representatives, Adekunle Akinlade as the party’s consensus candidate for next year’s election. But the aspirants rejected the candidate and went to obtain governorship nomination forms in a view to battling Akinlade in the primaries. Hunye also rejected the APC’s adoption of indirect primaries as mode of electing party’s candidates, saying they stand on the direct primaries earlier adopted by the party. “We believe we have one common enemy who is the consensus candidate from Governor Amosun. Since, we’ve all agreed he is a common enemy, we want to work together. “The aspirants are, Jimi Lawal, Dapo Abiodun, Senator Gbenga Kaka, Bimbo Ashiru and myself, Abayomi Hunye,” he said.